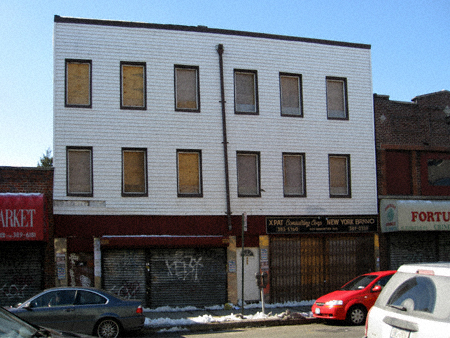 The fine folks behind the architectural splendor that is Belvedere gave us Garden Spotters a very special Valentine’s Day present recently: demolition permits for 607 – 609 Manhattan Avenue! No word on what Belvedere VII will look like (no plans are posted on Belvedere Partners web site), but I can only hope it looks like its cousins over on Powers Street: Belvederes III and V.
I don’t know about you, but how can eight units of paltry rental property possibly compare to having your very own phat balcony overlooking Manhattan Avenue and quaffing automotive exhaust from passing B61 and B43 buses? 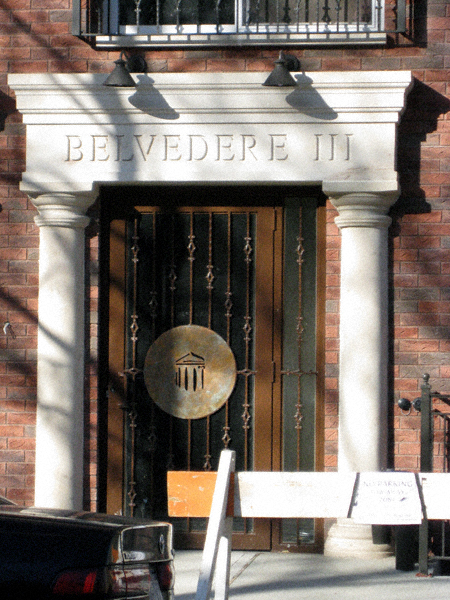 I mean just look at the challenging piece of fine art that graces the front door of Belvedere III. I simply must get me some of that. This folks is what I call LUXURY! 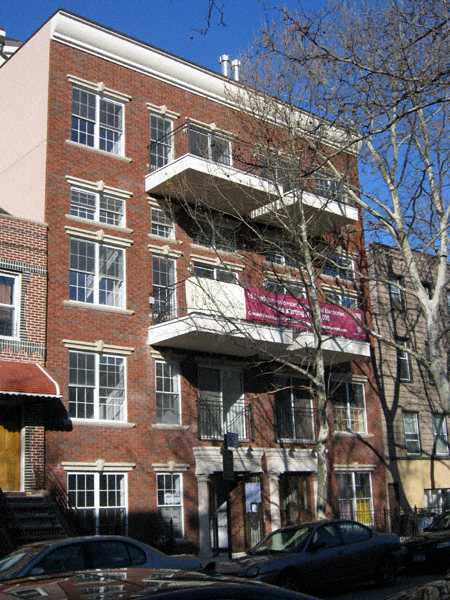 2 Comments on Brace Your Balconies, Greenpoint! holy crap. we need more of those. Well, you know, nothing says “welcome” like cheap molded concrete pillars. What shall we name this style? Colonial Revival Crap? Georgian Garish? I never understood the point of those silly little balconies. I’d rather look at a fire escape. And fire escapes are more practical. Especially in a toxic drywall-and-cdx monstrosity like that crap.